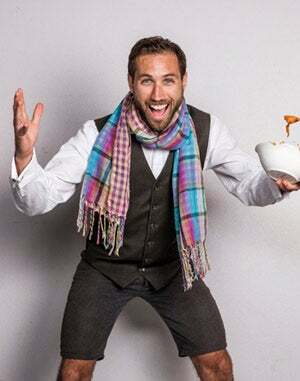 Jed Lazar went out of his way to ensure that the soup-delivery business he opened in 2008 was environmentally conscious. Nearly all the ingredients used by Portland, Ore.-based SoupCycle are organic. In addition, Lazar buys as much as he can from local farmers--currently half his ingredients, and that number is increasing every year. But helping his local community, not to mention the planet, wasn't Lazar's only motivation for building a green business. He wanted to keep overhead low, too. That's why he opted to make all deliveries by bicycle, reducing both startup and operational costs. "The maintenance costs are extremely cheap," Lazar says of his eight-bike fleet. "And we don't have to deal with fluctuating gas prices." An additional benefit? "The brandability of delivering by bicycle is huge." It's no surprise, then, that the business, which Lazar launched with just $20,000 in savings, was profitable within its first year. To date, SoupCycle's staff has delivered more than 70,000 organic meals by bicycle--traveling some 25,000 miles that otherwise might have been powered by gas. Additionally, the company has channeled $115,000 to area farmers. But this isn't just some tree-hugging, hipster business model lifted from an episode of Portlandia. Nearly half of U.S. adults say they're "more inclined" to buy environmentally friendly products, according to a 2012 survey from research group Ipsos. What's more, four in 10 say they're willing to pay higher prices for them. Companies of all sizes and sectors have come to recognize that the eco ethos is here to stay. Two-thirds of companies view sustainable practices as "necessary" to compete in today's business environment, according to a global survey by MIT Sloan Management Review and The Boston Consulting Group. But you don't have to have a degree in sustainable business to go green. And while it's true that building an eco-friendly company from the ground up is easier and less expensive than retrofitting an existing business or product, there's plenty of room for established businesses to reap the rewards--both financial and feel-good--from adopting sustainable practices. The trick is in determining which ones will pay off for you. One of the simplest ways to go green and save is to convince staff and customers to use less of everything: electricity, water, gas, paper, printer ink, you name it. "Those savings are really easy to see," says Gifford Pinchot, president of the Bainbridge Graduate Institute, the sustainable business MBA program Lazar attended in the greater Seattle area. "We used to spend this much money, and now we spend this much. It doesn't take a lot of convincing to get the chief financial officer behind these things." Hadley, Mass.-based Shel Horowitz, a green marketing consultant and author of Guerrilla Marketing Goes Green, agrees. "Start with the low-hanging fruit," he says. "Do the easy, inexpensive things first and use the savings to fund bigger improvements." For professional service companies, this typically means taking aim at operations, says Jennifer Languell, a green-building consultant in Fort Myers, Fla. She advises business owners to ask themselves some basic questions: "Can I recycle? Can I purchase recycled paper? Is there a policy that all the lights are off at night? Do I let my employees telecommute?" Beyond office-based businesses, there are plenty of creative opportunities for greening on a budget and reaping immediate financial rewards, says Marcos Cordero, co-founder of Houston-based Green Business Bureau, an organization that helps small and midsize businesses adopt ROI-driven sustainability practices. Hotels can implement a towel-reuse program or a key-card-activated energy-saving system that powers down the room each time a guest leaves it, Cordero says. Dry cleaners can implement a hanger-recycling program. Restaurants can hang plastic over refrigerator and freezer doors to retain cool air or buy gadgets that save energy by better regulating temperature. "These things are very cheap, and they save thousands of dollars," Cordero contends. Jarrod Harms, owner of Detour Salon in Encinitas, Calif., will attest to that. "When the economy really started to take a nose dive, we started looking at ways we could save a lot of money," he says. "It turned out that going green was a good call." One of the changes the 15-year-old hair salon made: switching from the disposable latex gloves its stylists wore to color hair--which had cost about $2,900 a year--to heavier-duty reusable gloves. Thanks to this simple change, "we knocked that expense down to a couple hundred dollars a year," Harms says. In determining sustainability options for your facility's infrastructure, it's critical to factor in whether you rent or own your business space and how long you intend to stay there. "If you are not in a building that you own, there's no incentive for you to fix the air conditioning or the furnace," Languell says. Likewise, she adds, even if you can convince your landlord to let you replace appliances and light fixtures with more eco-friendly models, if you anticipate outgrowing the space in a year or two, you probably won't recoup your investment. It all comes down to crunching the numbers, says Ted Bier, who runs T.M. Bier & Associates, a commercial energy conservation company in Glen Cove, N.Y. "If it takes two years to pay back and you're going to be there five years, then why not make the changes?" he asks. LEAF Lifestyle, a 1,500-square-foot wellness studio offering personal training, massage therapy and nutrition consulting in Santa Monica, Calif., is a shining example. In 2010, CEO and president Luke Sniewski spent $750 on tweaks to the facility that paid for themselves in just four months. He insulated the sauna so it would retain heat longer. He switched to LED light bulbs throughout the studio. And, to capitalize on natural lighting during daylight hours, he frosted all the windows and ripped out the blinds. As a result, his monthly electric bill dropped by 80 percent, saving the company $2,400 a year. "That's a fixed cost that doesn't go away," Sniewski says. "That's huge in a small business." So how much can you expect to save overall by tackling the quick fixes? "If you do all the easy stuff, I would guess [at least] 15 to 20 percent savings would be typical," green-marketing consultant Horowitz says. But, he adds, it depends on your location (that natural lighting tactic won't work in grayer climes like Seattle), how much staff and customers abide by your green policies and how much you reduce resources used (there's a big difference between setting the thermostat to 68 degrees vs. 72 degrees). To get more bang for your sustainability buck, you need to level up your investment. Dublin Cleaners, a family-owned dry-cleaning business with seven locations in the Columbus, Ohio, area, is proof of that. In 2007 owner Brian Butler sank $100,000 into a high-efficiency dry-cleaning machine that requires significantly less cleaning solvent and saves the company $36,000 a year. He recently invested $25,000 on sturdier hangers and recycling boxes; with customers recycling tens of thousands of hangers a month, Butler estimates he saves $48,000 to $60,000 per year. It's investments like this that pay off big: When Butler took over the family business in 2006, it was foundering, clearing just $5,000 in annual profit; today that number is in the six figures. When it comes to making pricier sustainability upgrades, you don't necessarily have to carry the burden alone. "Call on your local utility company," Bier suggests. "They provide free surveys. Start with the analysis they give you of what you might be doing differently." Many utility providers and city and state governments also offer rebates or financing incentives for installing energy-efficient HVAC systems, appliances and lighting. For instance, he notes, "if your lights are more than 5 years old, generally you can get rebates that will let you recover your investment in two years." That's what Harms' Detour Salon did. In 2009, as part of its expense-busting efforts, the 3,000-square-foot business replaced all its overhead halogen light bulbs--about 200--with energy-efficient LED bulbs, a $23,000 investment. Harms didn't pay a cent out of pocket. Instead, the local electric company financed the improvements, allowing him to repay the debt on the salon's electric bill. The new lighting cut Detour's electricity use in half, shaving about $7,200 off its annual bills. With the money saved from this and other cost-cutting tactics, Harms was able to pay off the lighting loan within a year. Recouping your green investment in a couple of years is only one way to look at matters. Small Dog Electronics, a $35 million Apple reseller based in Waitsfield, Vt., has a more long-term view of sustainability savings. Two years ago the company invested five figures in an energy-efficient heating system at its 15,500-square-foot headquarters, which houses an office building, retail outlet and warehouse. Last year Small Dog installed a $250,000 solar power system. Now the company is swapping out all lighting for LED fixtures, bringing the total cost of these retrofits to approximately $300,000. "Our payback is probably more along the lines of 10 years rather than 10 months," says co-founder and CEO Don Mayer. However, he adds, "energy costs are rapidly increasing, so that 10 years is going to turn into five years very quickly." Of course, financial savings are only part of the green equation. Some long-term payoffs are less direct; namely, the perceived goodwill and marketability of green companies. "It really goes back to corporate culture," consultant Languell says. At companies that place a high value on green practices, employee satisfaction also runs high "because people want to feel like they're doing good," she says. The same goes for customers and the surrounding community. When done right, sustainability can be the secret sauce that sets you apart from the competition, says Bainbridge Graduate Institute's Pinchot. Take SoupCycle, which in four short years has built a strong Portland customer base. "We're local, we're organic, we deliver by bike--nobody else can claim that," founder Lazar says. "People want to support sustainable business. That differentiates us from soup [from the] grocery store. Without the bike delivery, we wouldn't have a business. It's that core to our brand. It's that memorable. And it's that important to our customers. It's hard to put a number on that."